BMW is traveling to this year’s Pebble Beach Concours d’Elegance to give fans a preview of its next roadster. 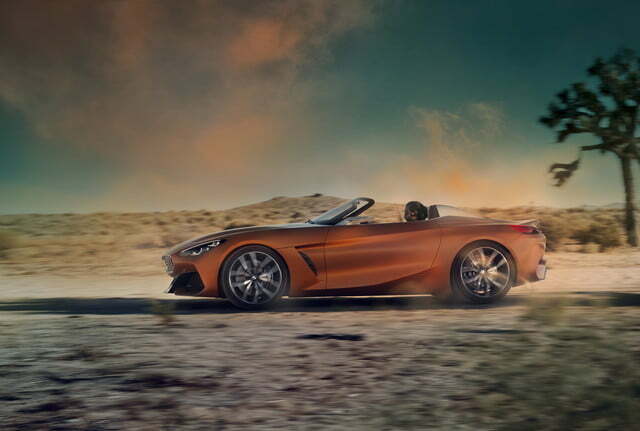 As its name clearly implies, the Concept Z4 is an early look at the next-generation BMW Z4 that the German company is currently developing with partner Toyota. 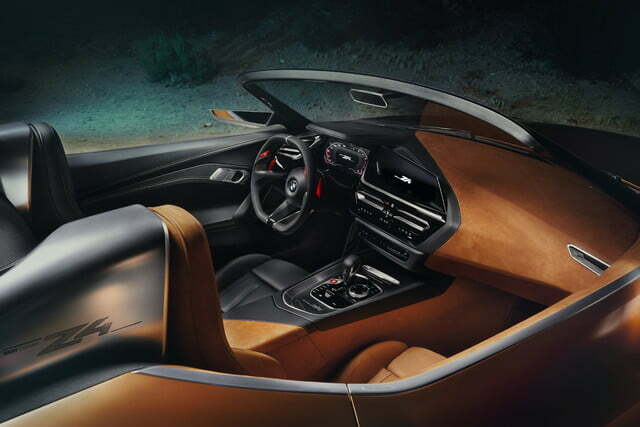 The Concept Z4 is sharp, sporty, and futuristic. 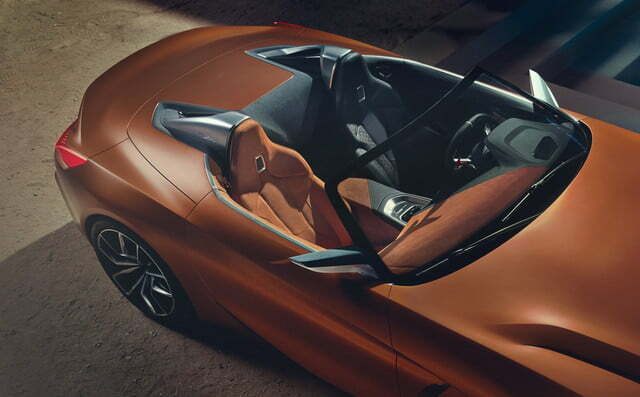 It remains a two-seater, but it’s considerably more low-slung than the last Z4 BMW stopped building about a year ago. 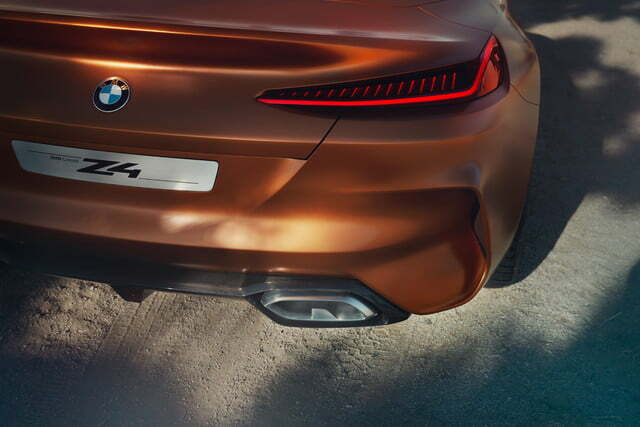 Its front end signals the return of the so-called shark nose, a styling cue that defined BMWs of all shapes and sizes from the 1960s to the 1990s. 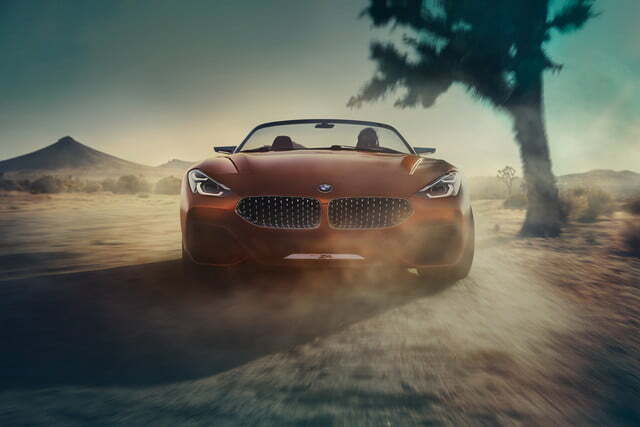 Wide kidney grilles with mesh inserts and swept-back headlights bring the Concept Z4 in line with the company’s current design language. 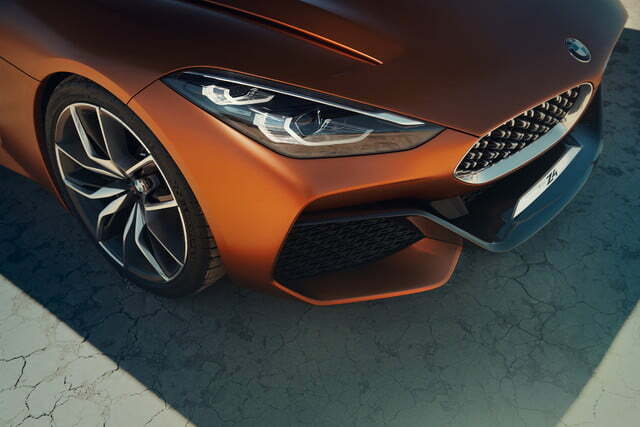 When viewed from the side, the concept is characterized by a low front end that suggests the engine is front-mid-mounted, a long hood, and a raked A-pillar. It boasts the traditional roadster proportions that get an enthusiast’s heart pumping. The roll bars are integrated into a pair of tunnels that begin right after the passenger compartment and gently slope down towards the rear of the car to echo some of BMW’s classic roadsters. 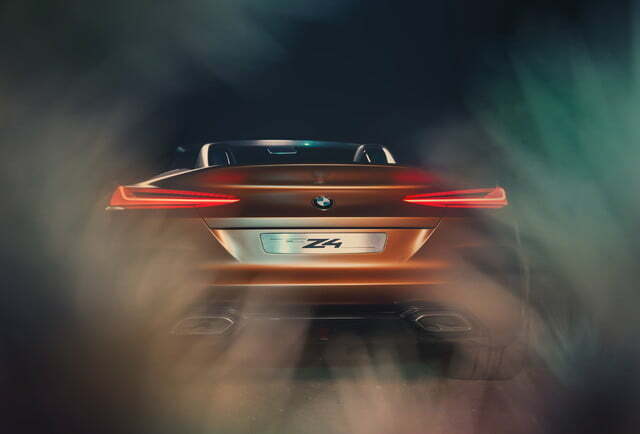 Based on the snazzy looks alone, the Concept Z4 will fit right in at Pebble Beach, where it will share lawn space with some of the world’s most sought-after vintage machines. BMW chose to focus on design, and it’s not telling us what’s under the hood. 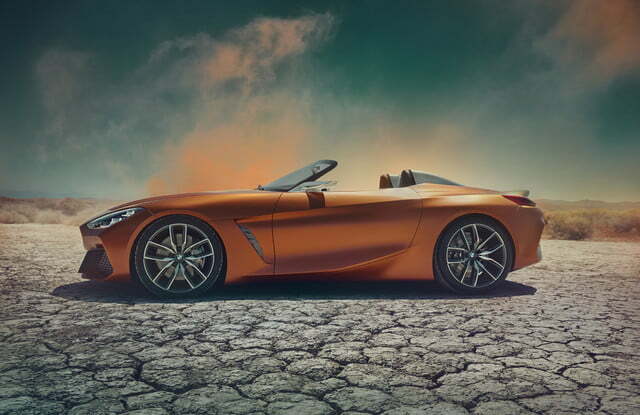 The company nonetheless suggests the Concept Z4 is one of the most driver-focused two-seater roadsters it has ever built. 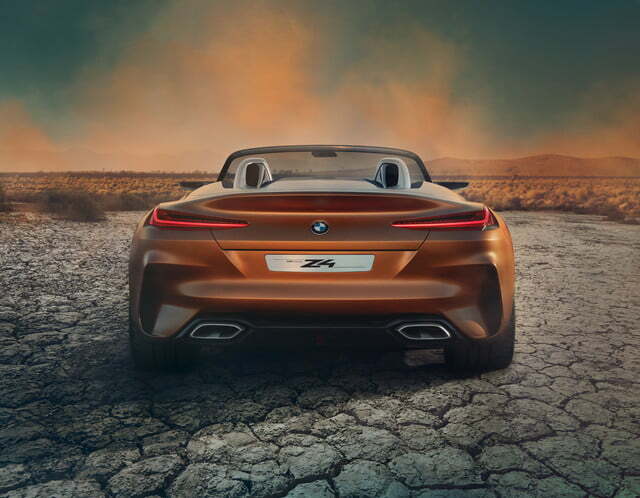 “The BMW Concept Z4 is an all-out driving machine. 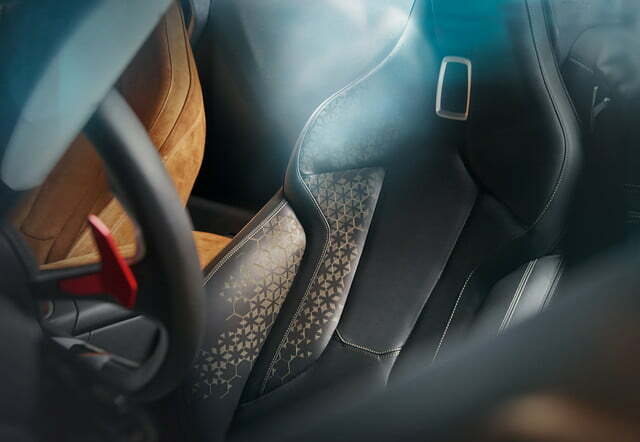 Stripping the car back to the bare essentials allows the driver to experience all the ingredients of motoring pleasure with supreme directness. This is total freedom on wheels,” said Adrian van Hooydonk, the senior vice president of BMW’s design department. We have good news if you like what you see. 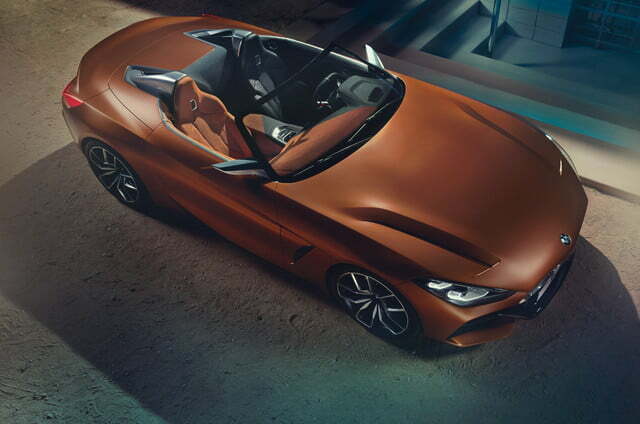 You can’t buy the Concept Z4, but it will spawn a production model that’s tentatively scheduled to go on sale in 2018. 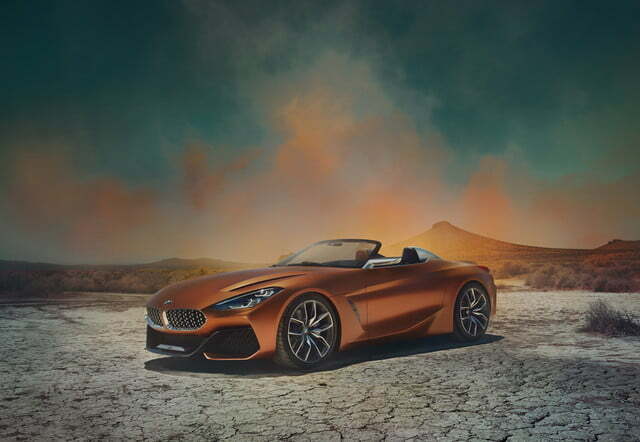 That means we’ll likely see the third-generation Z4 for the first time next year at the Geneva Auto Show, and it will arrive in showrooms in time for the 2019 model year. Toyota’s version of the car will resurrect the storied Supra nameplate when it arrives at about the same time. 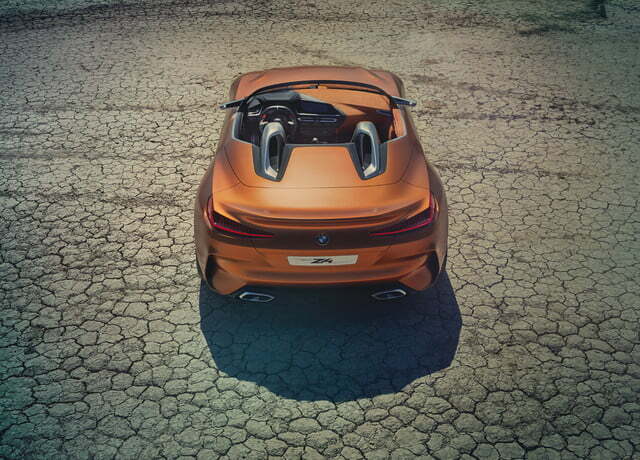 The concept isn’t the only thing we’ll see from BMW in Pebble Beach. 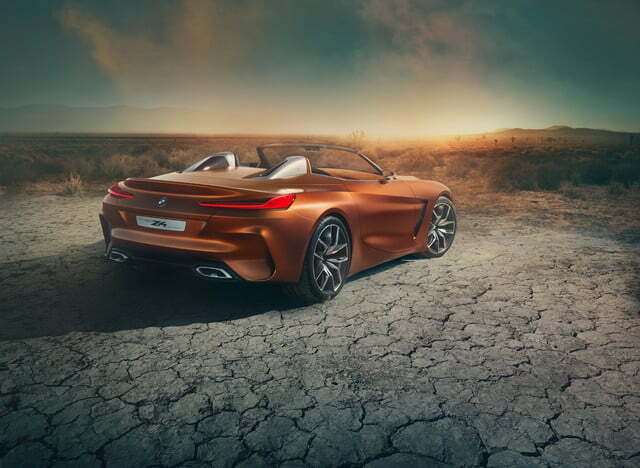 The company will show the 8 Series Concept in the United States for the very first time. Introduced at the Villa d’Este Concours d’Elegance, it accurately previews an upcoming production model. It is also entering two classic race cars — a 1975 3.0 CSL and a 1972 Alpina 2002ti — in the Rolex Monterey Motorsports Reunion.